I have built and customized numerous desktops over the years. Each more powerful and smaller than the last. Starting out with mini towers, shuttles, and finally a highly customized Mac Mini, I have always been driven by the challenge of building a small yet powerful Windows PC. As my current PC is starting to show its age, it is time to begin a new journey and build the ultimate Windows 10 micro PC. Before I begin it is important to explain what I’m looking for and the compromises I’m willing to make as building the most powerful and smallest anything don’t usually go together. First, the most important decision is the CPU. For the last few generations I have become an Intel i7 fan and with the recent Skylake platform, the i7-6700 is a no brainer. Although if I’m trying to build small, the low power “T” version (6700T) is a requirement to keep the heat down. RAM and storage are easy decisions, max out RAM and buy the best SSDs with a reasonable price. It would also be nice to find a budget friendly M.2 slot SSD to use as an OS drive as those have ridiculous performance and are about the size of a stick of gum. Since I’m going for very small that pretty rules out dedicated graphics card. There is no way I am going to fit a NVidia GeForce GTX 980 into something smaller than a Mac Mini. While I need a graphics system powerful enough for my dual HD monitors, I don’t do a lot of PC gaming anymore (thanks to my XBOX), so I’m willing to compromise here. The good news is with the new Skylake platform, the integrated graphics is supposed to be decent with DirectX 12 support. Speaking of form factor, as I mentioned earlier, my current desktop is a Mac Mini that is 7.75” x 7.75” x 1.5” tall. The hardware design is very good and it is completely silent most of the time. The Mac Mini also has an internal power supply but I’m willing to forgo that for an external power brick converter. The most difficult aspect of this build is finding the right form factor package. With my goal to go smaller than a Mac Mini, Mini-ITX is off the table (the smallest ITX cases I could find were over 1.5” tall). Custom designed motherboards and cases were my only hope. After a lot of research, I was unable to find any barebone kits in the target size. Shuttle came close but no Skylake support. 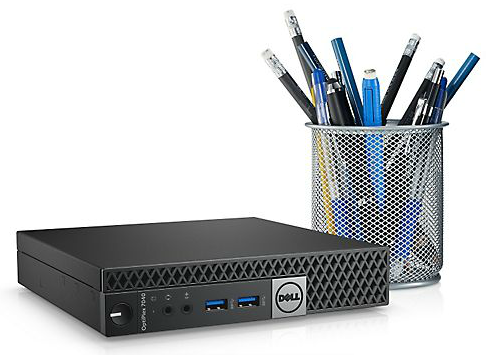 While searching I stumbled across a new breed of “tiny” desktops from the big three PC makers. I never intended to buy a pre-built PC, but these PCs have the potential to be a custom barebones kit + CPU. After considering the three options for my barebone system + CPU, I selected the Lenovo M900 Tiny because it meets everything I’m looking for, and the price is almost $200 cheaper. I also like how Lenovo’s web site provides more control over what is included with the PC. I was able to further decrease the cost by getting rid of the stand, keyboard and mouse. I only wish Lenovo allowed me to buy the system without any RAM and HDD because those items will also be tossed aside. Now that the case, motherboard and CPU have been selected, it is time to pick out the OS drive, storage drive and RAM. For the OS boot drive I wanted to take advantage of the internal M.2 slot that is an internal expansion slot that can act as a PCI Express 3.0 interface. This interface is significantly faster than the common Sata 3.0 interface that limits SSD drives to around 500 MB/s sequential read and write. With the PCI Express interface, SSD drives can attain sequential read and write speed well over 2000 MB/s. If I’m building the ultimate Windows 10 desktop, I absolutely need this! After shopping around, I settled on the Samsung 950 Pro 256 GB model that I was able to find for $189. 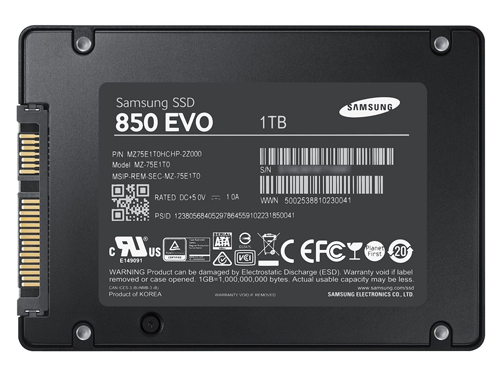 For the storage drive I typically would look for a multi TB traditional hard drive, but with the prices of 2.5” SSD drives falling from the sky, I was able to find a 1TB Samsung 850 EVO on sale for below $290. The Intel Skylake platform is one of the first to take advantage of DDR4 RAM. With that comes a big jump in memory speed but the Lenovo M900 motheboard, like all other tiny form factors, only have two SODIMM slots. To max out the RAM I had to use 16 GB modules which are rather limited right now given how new DDR4 is on the market. 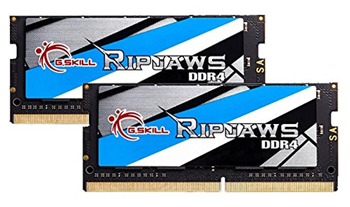 I usually like to buy Kingston HyperX memory but 16GB dims are not yet available so I had to settled on a 32 GB kit of DDR4 2133 (PC4 17000) from G.SKILL that I have no experience with but receive good reviews. Click here to continue on to Part 2 where everything is assembled, configured and benchmarked.